machine deck once again rises with more support from the new machine-theme structure deck: machiner's commando,or the TCG machiner mayhem. the big head machiner fortress is a notable card that combo well with ancient gear dragon. 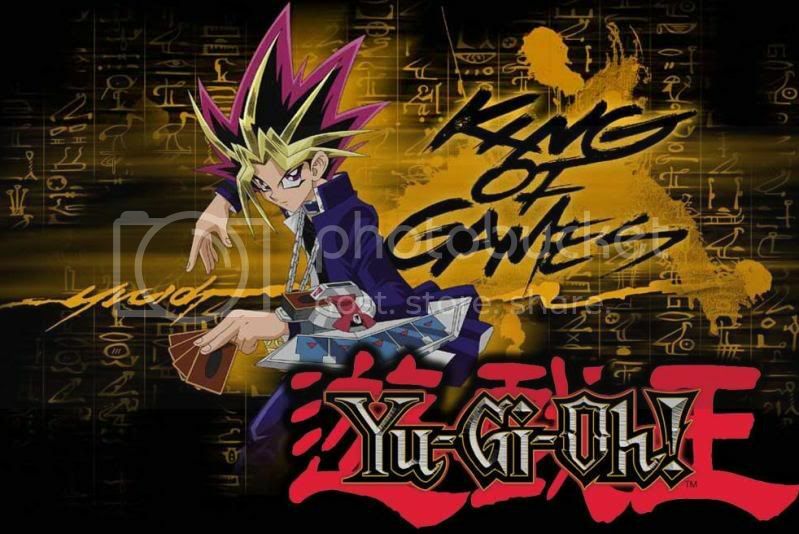 what comes to mind next is an incredibly strong field spell card,that allows you to special summon your ancient gear monster at almost no cost.drop your ancient gear dragon to special summon your machiner fortress,"stack" your geartown and then special summon ancient gear dragon from the grave(the one you had just discarded),or if you want,from hand or deck also can. you will now realize how strong geartown is now,if your opponent plays heavy storm,you get free big head,plays cyclone,get free big head again.so now comes the question,what card can we play or side against such deck so that we dont have to waste our deck space just for this particular deck?and at the same time serve other purpose as well? 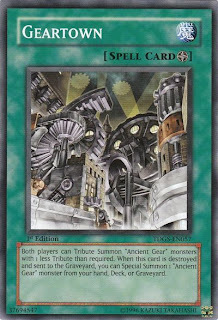 Effect: Both players can tribute summon "Ancient Gear" monster with 1 less tribute than required. When this card is destroyed and sent to the graveyard, you can special summon 1 "Ancient Gear" monster from your hand, deck, or graveyard. Effect: Destroy 1 spell or trap card your opponent controls. You can then set 1 spell or trap card from your hand. the reason why dust tornado can effectively get rid of geartown and at the same time prevents your opponent from special summoning their big head is due to the last phrase of dust tornado's text " You can then set 1 spell or trap card from your hand." geartown cannot special summon their big head because after you have activated dust tornado,and you randomly set 1 M/T,will cause geartown to miss its timing,since the last thing to happen now is not the destruction of geartown but the setting of a M/T. 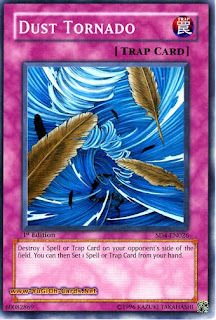 see how dust tornado can be a wonderful card?you can simply side this card in and remove others in this situation,but just do remember to set a magic or trap card.